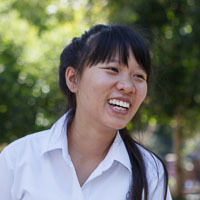 I am a migrant child who moved to Thailand with my family when I was very young. My parents fled to this country because my father had to work as a forced laborer for the Burmese military without payment every day. Thus, he had very little time to be with our family, and we lived in fear. My parents migrated to Chiang Mai province and started to work in a farm with low salary. I have one older brother; we both grew up in Thailand and got an opportunity to attend a small Thai government school in the village. Every evening when I came back from school, I took care of the farm owner’s children in order to generate some small income for my family. 20 baht per day is a lot for a migrant child like me. Studying in the school has always been fascinating and exciting to me. The more I study about people, history, and society, the more my curiosity seeks to understand them; therefore, going to school was one of the best events that ever happened in my life. The time went so fast that I didn’t realize how far I had gone until I graduated from the Thai primary school. After that I got an opportunity to apply to a middle school in a town 15 kilometers from my village. That long distance never stopped me from learning. I always felt happy when I thought of the school and my future dreams. Fortunately, in 2008, Shan Youth Power (SYP), a youth organization based in Chiang Mai, started a migrant school in my village. I learned the Shan language and English from SYP every weekend. I was very excited and enjoyed learning there because the school allowed me to meet new friends and learn my mother language. 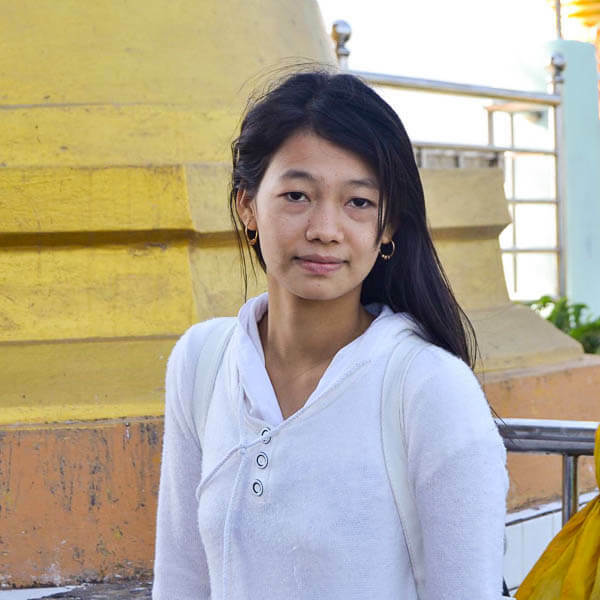 My English started to develop more, and I began to understand how important it is to be part of the community and social work; therefore, I volunteered to work as a teacher who taught Shan to small children in my community. After I graduated from middle school in 2009, my parents could not support me to continue on to high school due to financial problems. At that time, I felt very sorry for them and I thought only about how I could continue my education. 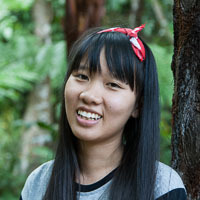 Ying has a deep sense of duty to be of service to others; her altruism is highly commendable. Her commitment to improving conditions in her community is without question and her choice of nursing is as fundamental in its practicality as it is in its measure of her devotion to improving the lives of others. I hoped that if I had more knowledge then I could support my family and help other people in the community. My parents usually say “if you have more knowledge and skills, you will have a better job in the future. There’s no need to work on the farm with a low salary like us.” Although they could not support me, they always gave encouragement and let me decide what I wanted to do. I tried my best to continue my education without putting more burden on my family’s income, and tried to make all my family members understand and feel happy with my educational dream. In 2010, I applied for the school for Shan State Nationalities Youth (SSSNY) in Chiang Mai, and I was selected as one of the few students in Thailand to attend. There I studied about the history of my country, people, government, society, and democracy. That really opened my mind and changed the way I viewed the world. I started to draw a bigger dream for my future. A dream that not only benefits me and my family, but also the entire community that I am living in. I want to create a better society. I graduated from SSSNY with “Exemplary Completion” with the “Outstanding Personal Development and Academic Development” award after ten months of study. After graduating from SSSNY, I joined SYP and started to work for the community as a volunteer teacher in my village and several Shan migrant camps. I taught basic Shan, English, and mathematics for migrant children ages five to fifteen in the evening. During the daytime, I volunteered to work as an accountant. Working for my people has always brought me pride and strong encouragement. I want to go on and do it better. At some point, I realized that I needed to improve my academic skills so that I can better serve the community in the future. For this reason I’m seeking to further my studies at the university level. I did not have a high school certificate to apply for a university, but that did not stop me. I applied to BEAM Education Foundation, which trains students to get their General Education Development (GED) certificate from America. I studied there for one year to prepare me for the tests. Afterward, I took the GED test in August 2014 and passed all required subjects. Now I am ready for the next step of getting into the university. I dream of studying nursing science because nurses are needed everywhere, especially in my community. I believe that a nurse is someone who helps people meet basic healthcare needs, adapt to physical changes, and recover from illnesses. Moreover, nurses can provide healthcare training and raise people’s awareness. Sadly, there are not enough nurses in my community or in most of the rural areas of Myanmar. For this reason, I want to work in the area of healthcare for my people. To be a nurse is not only a job but nurses have to be moral and ethical, especially with a mind for service to be able to help other people with happiness. Thus, I believe that I will be a good nurse in the future. 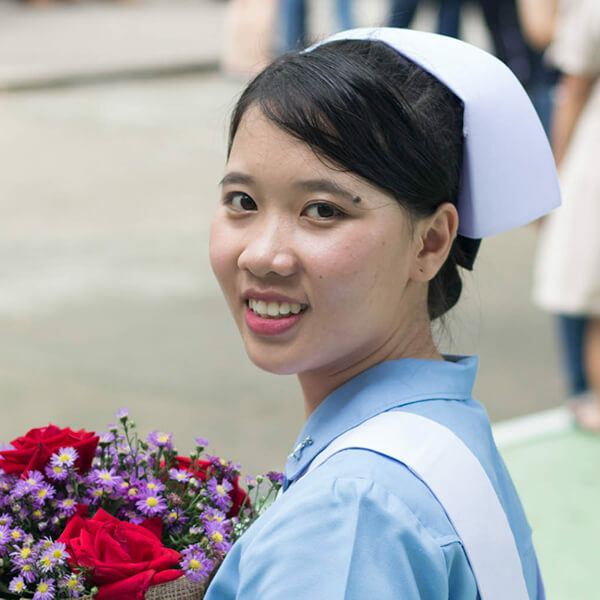 In addition, the number of needed nurses and doctors in Myanmar is high because only three universities in Myanmar offer courses related to nursing science, and each institution requires very high admission scores for students to attend. Additionally, the nursing science major’s tuition fee costs more than many parents can support. Thus, there are about 400-600 nurses who graduate each year while the population of Myanmar increased to over 54,000,000 in 2014. There are even more people in many rural areas that are not counted on the lists and cannot access healthcare services provided by the government. Thus, the comparison between the number of nursing graduates (400-600 a year) to the population rate really shows that there are insufficient nurses to fulfill the needs of people in the country. 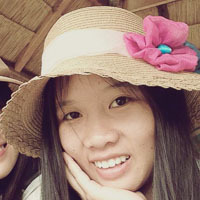 Hence, having an opportunity to gain additional education in nursing science will allow me to work as a nurse in the future to improve the health care for people in my hometown, Shan State. In conclusion, it is very significant for me to get more knowledge, more practice, and more experience in the university to support my future work. To be able to study is not easy, and I believe every step that I have taken I learned some lessons that will help me to be stronger and better able to deal with problems in the future. Despite whatever happens in my life, I will never stop learning to achieve my dream and helping other people. Written by Ying with editing assistance from Zomia’s volunteer editors. Whatever happens in my life, I will never stop learning to achieve my dream and help other people.